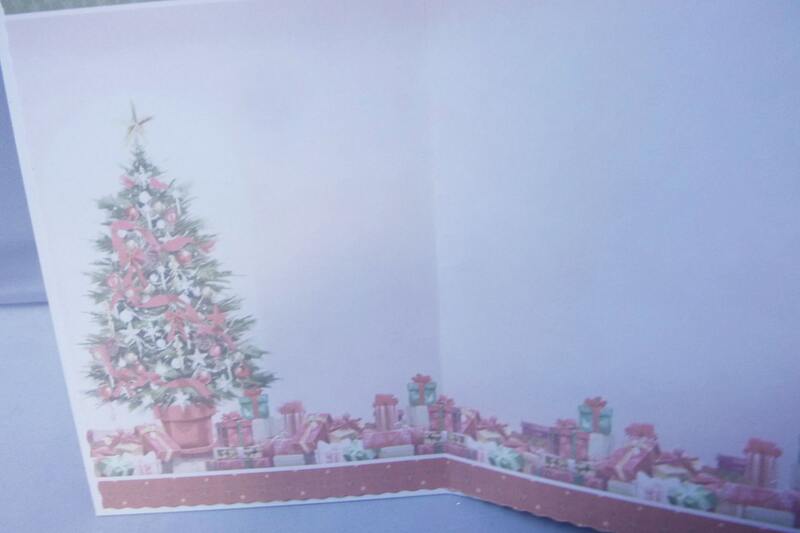 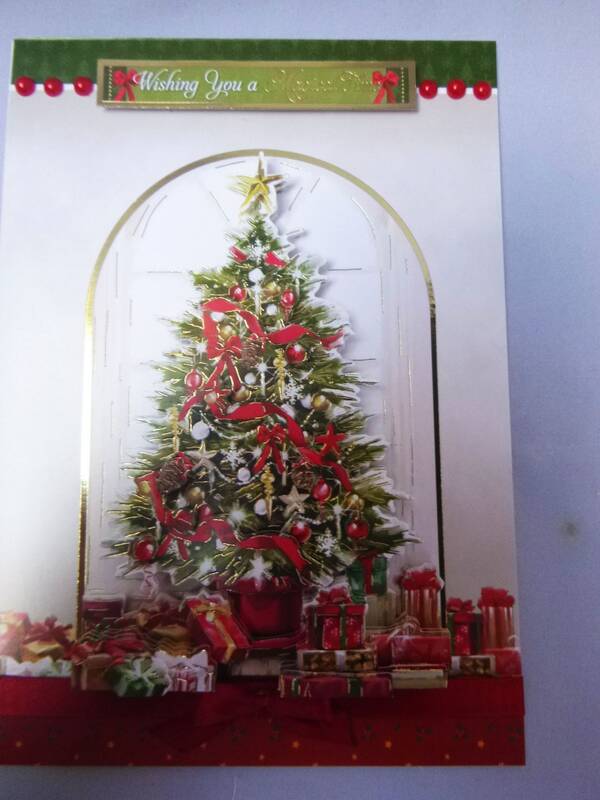 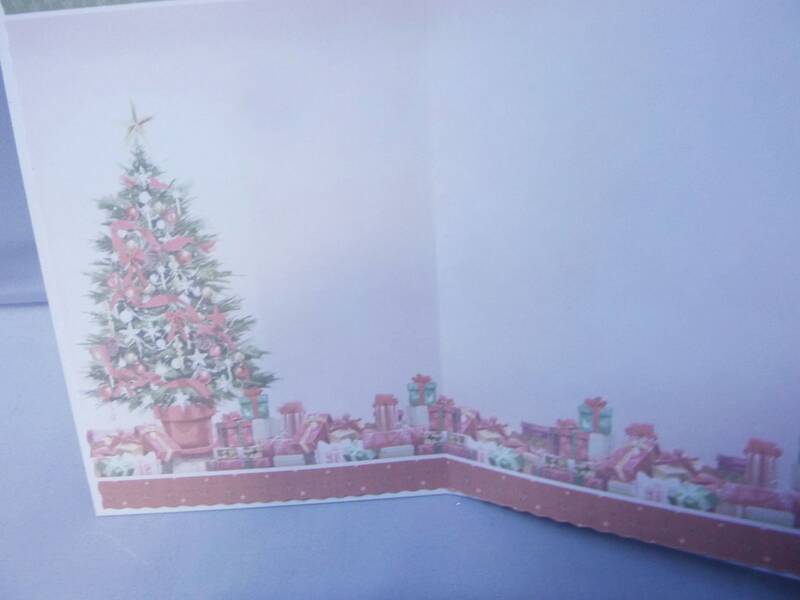 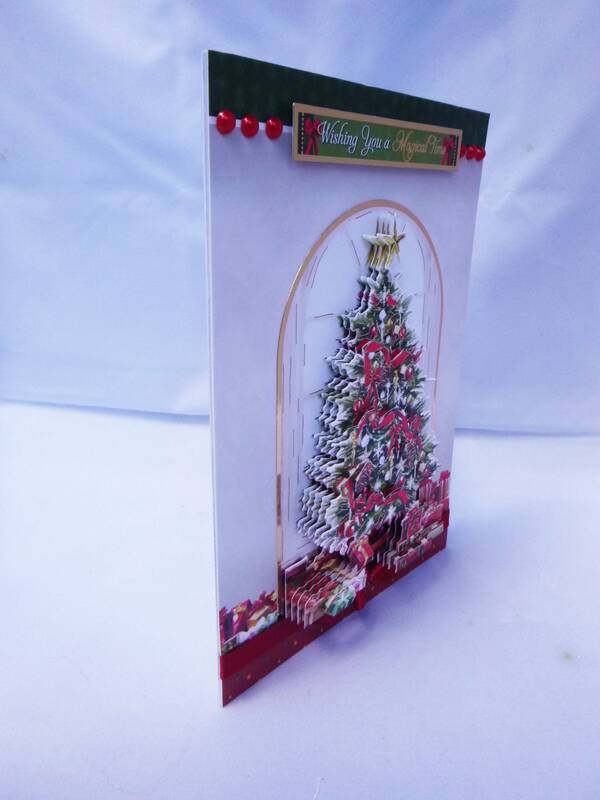 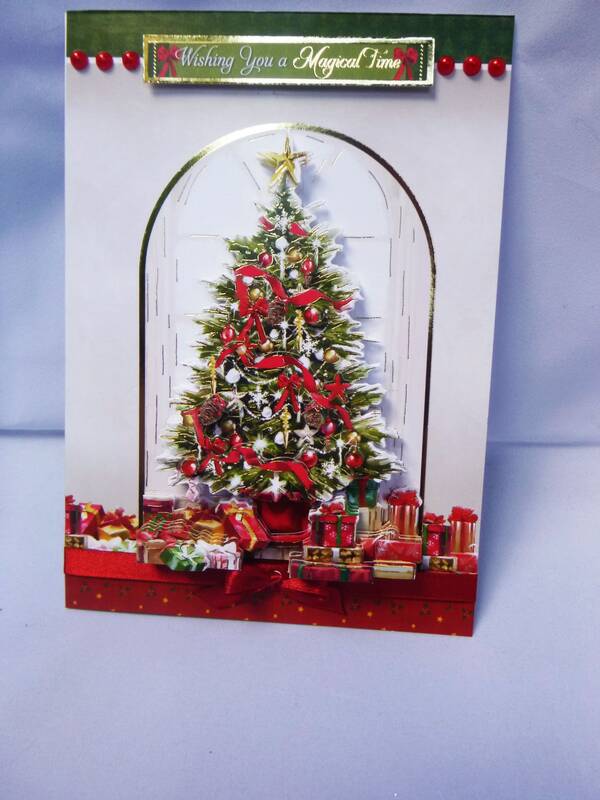 A 3 D decoupage card of a Christmas tree with presents around the bottom of the tree, across the bottom of the card is a red satin ribbon and a red ribbon bow below the presents. 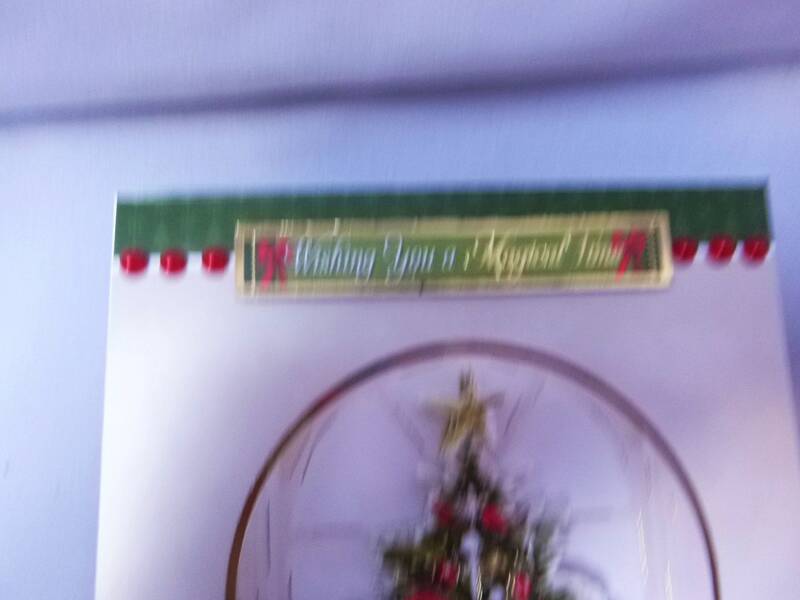 At the top of the card is a sentiment which says,' Wishing You A Magical Time'. 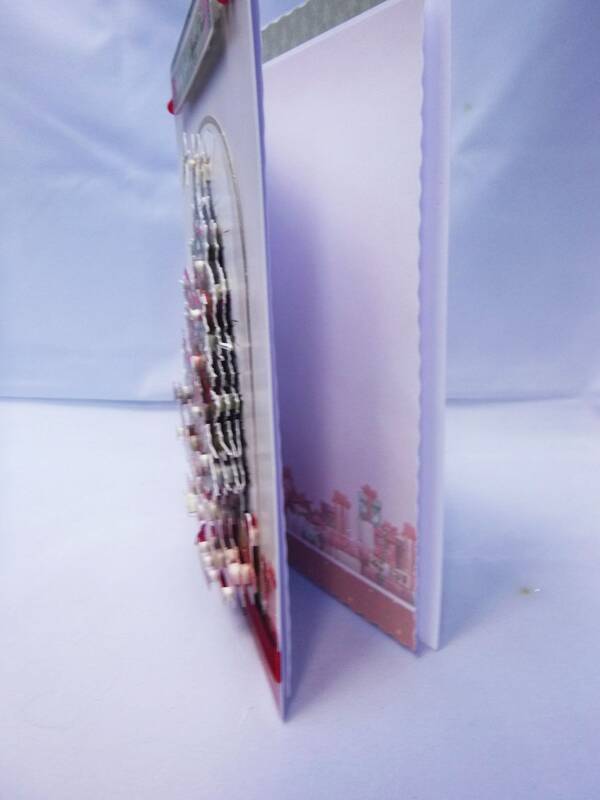 Each side of the sentiment are 3 red pearl embellishments. 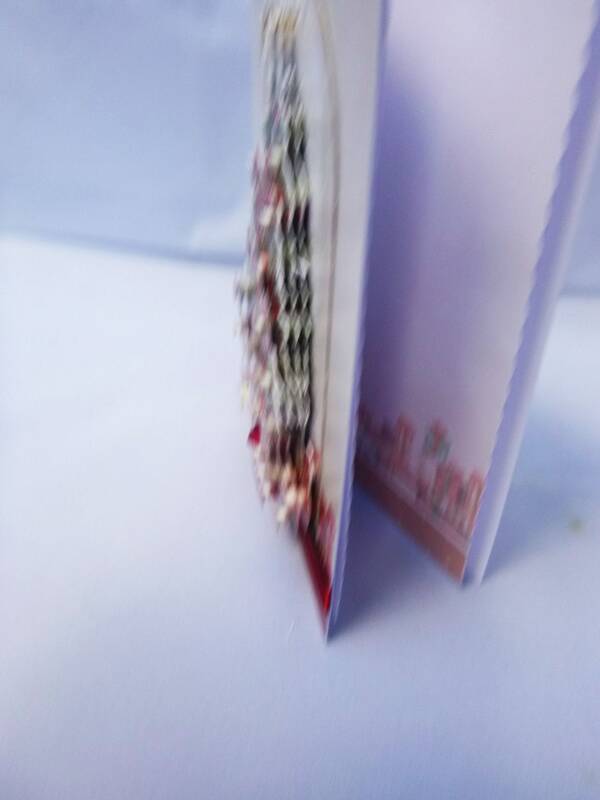 So beautifully made and wrapped in tissue for shipping. 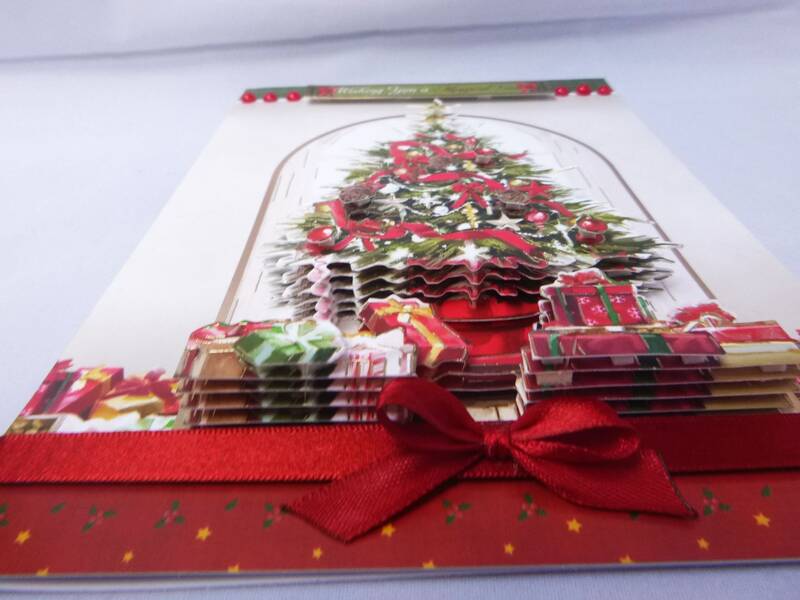 This seller takes great care with her items and creates cards that you want to keep forever.